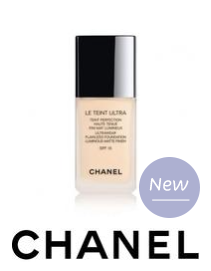 A long-wearing, buildable fluid foundation that glides on, with a luminous, matte finish. For a natural result, apply LE TEINT ULTRA Fluide with fingertips, patting on from the centre of the face outwards. For a sophisticated result, dispense a few drops onto the back of the hand and take up some foundation with the 2-IN-1 FOUNDATION BRUSH FLUID AND POWDER. Apply to entire face, patting on and then smoothing from the centre of the face outwards. Moisturising active ingredients to offer a sensation of comfort all day long.